A couple of month's ago, I got to photograph this sweet families Homecoming Ceremony, as Mom was coming back from a tour in Iraq. A couple of months later, they contacted me to let me know that they are expecting another sweet addition to the family! How exciting! When they asked me to capture their Gender Reveal I, of course, could not say no! It is super exciting to be a part of milestones and even more flattering that they immediately thought of me to shoot these important moments for them. I truly love being a Family Photographer here in Fayetteville, North Carolina. 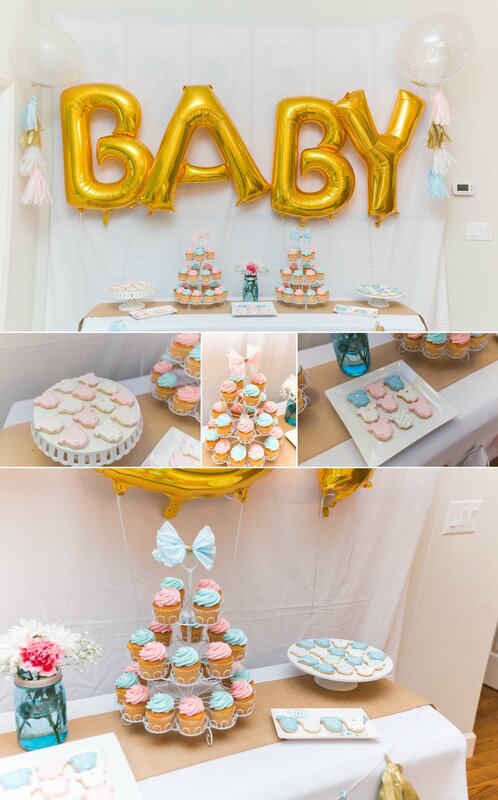 At their home in Pinehurst, they had invited their friends and family to witness the reveal of the gender of their new baby! After over 2 boys, I know they were somewhat secretly hoped for a girl - and their wish came true! They couldn't believe their eyes when they saw the pink powder! Involving their love for golf was such an awesome and unique way to incorporate it into the reveal!